We’ve barely left Portland and crossed the bridge over the Columbia River into Washington before the subtle differences between the 2015 Road Glide Special I rode to Sturgis and the 2016 Road Glide Ultra I’m on now become apparent. First, the new saddle is contoured differently, cushiony and comfortable with a bit more lumbar support. It’s narrow in the front allowing me to snug my legs up to the tank. Harley reduced the width of the primary housing and derby cover of the 2016 Road Glide Ultra which helps too. The bars are situated differently as well, higher and easier to reach. The end result is a relaxed riding position almost perpendicular on the motorcycle, just the position you want to be in for logging long miles. The second thing that immediately stood out is the snap of the Twin-Cooled High Output Twin Cam 103. The 1690cc engine is lively and quickly responds to the slightest input of the throttle. It surges up to highway speeds with only one shift, a rush of low-end torque just the tonic needed for a bike that tips the scales at over 900 pounds. Rolling through town, the electronic throttle control is so dialed it borders on twitchy when I twist the grip, the torque abundant and accessible. Much of the afternoon is spent in fourth gear because of its wide spread of power and the bike’s ability to pick back up from low rpm without lugging. 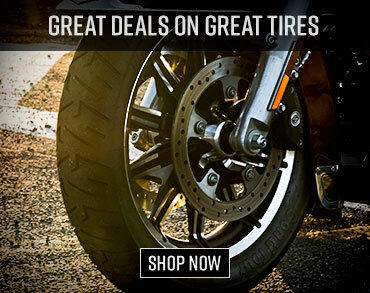 Thanks to its rubber mounting, rider’s get the requisite Harley V-Twin character without the tiresome vibrations. Big power smoothly delivered in a comfortable riding package with abundant storage. Can’t ask much more from a capable touring machine. The 2016 Harley-Davidson Road Glide Ultra sees the addition of Harley’s Twin-Cooling system that uses an electric pump to circulate coolant through the cylinder heads around the exhaust valves. The system’s heat exchangers are tucked neatly away in the left and right fairing lowers so you can’t really tell it’s there (like the debut Twin-cooled Harley, the 2014 Ultra Limited). Harley claims the Twin-Cooled High Output TC103 has a higher 10.1:1 compression ratio than the stock Twin Cam 103, boosting torque by 10.7%. The new Road Glide Ultra also sources Harley’s “Rider-initiated Engine Idle Temperature Management Strategy (EITMS)” that allows riders to manually shut down the rear cylinder when stuck in traffic. 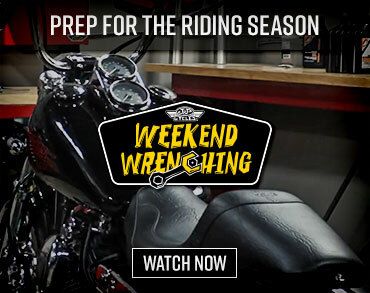 Anyone who’s been stuck in traffic on a blistering hot day with Harley’s big V-Twin between their legs knows the thigh-roasting result, so it’s good to see H-D addressing the issue. Engagement of EITMS is as simple as rolling the throttle forward and holding it there for about three seconds when sitting in Neutral at idle. The cruise indicator lamp will flash green when it’s on. Our fair-weather ride never required engagement, but it did give us more peace of mind should our short spell in Portland traffic been longer. Throttle response is impressive and nearly instantaneous on the 2016 Road Glide Ultra. The more miles we put in, the more I became a fan of the 13.5-inch touring windscreen. During my recent Sturgis stint aboard the 2015 Road Glide Special, I got blown around pretty good as the winds were whipping across the western plains of Minnesota. The taller windscreen effectively pushes wind up and over me without being in my line of sight. The 2016 Road Glide Ultra has also been outfitted with the Splitstream triple vent system as part of its Project Rushmore treatment. This includes a large slot below the windscreen that helps reduce helmet buffeting. There’s also two channels on each side of the headlights that funnel air more mid-chest. Open all three and a cooling breeze is sent back to the rider without pushing them around in the saddle. With all three closed, a bit more forced air reaches the rider but is tolerable. The wind management system also includes two small wind deflectors mounted below the front fairing to further control the stream either toward the rider or toward the engine fins. Mike Goche of Harley’s Motorcycle Product Planning said many hours were spent in the wind tunnel testing out the triple Splitstream venting system as improving aero comfort on the 2016 Road Glide Ultra was highly prioritized. Another aspect of the Glide’s Project Rushmore treatment is Reflex Linked Brakes that work both ways, front-to-back and back-to-front. The linked system activates when the motorcycle reaches between 20 to 25 mph and electronically adjusts the amount of force applied by the calipers based on the braking pressure and bike speed. Dual 300mm floating rotors on the front and a single 300mm fixed rotor on the back are each mated to a 32mm 4-piston Brembo caliper. Traveling about 35 mph, with a moderate push on the rear pedal I could feel it pump the front brake, with the fork dipping slightly. And while it doesn’t take much to activate the linked braking system, it takes a little bit more effort to get into the ABS, which before intervened a bit earlier than preferred. 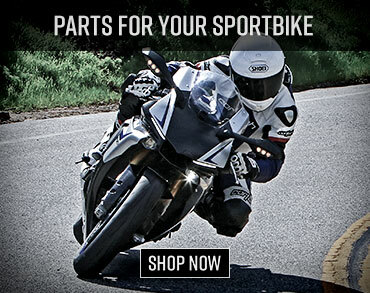 Overall, it’s a competent braking package that hauls the big bike down from speed in a controlled manner. This controlled manner carries over to ride quality. The meaty 49mm fork has been revalved to improve damping and thanks to its 4.6 inches of travel keeps the front end composed over the rough stuff. The twin rear shocks take the brunt of bumps out of the equation, the air ride rear cushy on compression and smooth on rebound resulting in a comfortable ride. Though the back is air-adjustable, we didn’t alter it from the stock settings which worked just fine without a load. The suspension package does an admirable job of handling the mass of the motorcycle mid-turn, maintaining stability from entry to exit. Despite its dimensions, the 2016 Road Glide Ultra turns in without fuss and rolls sure-footed through turns, allowing us to confidently hustle through the big sweepers and twisty roads that run up to Oregon’s Mt. Hood. The motorcycle’s Dunlops provide a solid interface with the road, and there’s good harmony between the 17-inch tall, 130mm wide front and 16-inch tall, 180mm-wide rear wheels, the front dimensions benefitting turn-in while the rear’s size works well to keep it on line. Part of the Road Glide’s conversion to an Ultra is the addition of a Tour-Pak, boosting overall storage capacity to 4.7 cubic-feet. The topcase easily holds our full-face Arai helmet and leather riding jacket. The Tour-Pak also serves as a passenger backrest which has been tweaked to provide more lumbar support. Harley said it adjusted the shape and angle of the armrests, too, to keep a passenger’s arms from sliding forward. The passenger seat is now one inch wider and one inch longer, and the passenger footboards are height-adjustable, so coming along for the ride should be more pleasurable than ever. The Road Glide Ultra’s Tour-Pak also comes with a standard luggage rack and highly visible LEDs that wraparound the rear, something we noticed while trailing the Road Glide Ultra riding in front of us. The Road Glide’s signature feature is its Sharknose fairing, and while it adds stylistically to the motorcycle, it also serves many functions. Foremost, it’s frame-mounted, keeping its heft off the front fork and facilitating its mild-mannered steering. On the front it houses dual Daymaker Reflector LED Headlamps. Though we didn’t ride at night, I’ve used the Daymakers before and they live up to their billing with both generous punch and spread. The inner fairing houses a 6.5-inch color touch screen, two 5.25-inch speakers, and dial gauges for fuel and battery levels. The inner fairing has been redesigned so the screen of the infotainment system is two inches closer. A total of four speakers and 100-watts allow riders to rock out to radio, satellite, or stream your personal favorites by plugging into the USB in the right side of the inner fairing and tapping into its Jukebox function. Sound quality is clean and can be turned up loud enough so it’s audible over the rumble of the exhaust. The infotainment system is Bluetooth ready, so riders can use voice commands to talk on the phone, utilize a navigation system or to file through music files. We didn’t tap into the system, opting to use the small joystick controls on both handlebars to scan for radio stations and turn up the volume. The joysticks are easy to use with the exception of pushing it up, which was a bit of a stretch for our thumb. Harley said one of the most frequently asked questions they fielded from customers in Sturgis was when were they bringing back the Road Glide Ultra. That question has been answered. The 2016 version offers big power with smooth delivery. It provides a comfortable ride, comes with abundant storage, and functional rider amenities like ABS and Splitstream vents. Riders can choose between the audio tracks of Harley’s well-defined exhaust note or a crackin’ sound system. Between the relaxed riding position and protection from buffeting, we still felt fresh and ready for more miles after a full day in its saddle. Count us in as among those who are glad to see the return of Road Glide Ultra. Dual Daymaker headlights of the 2016 Road Glide Ultra have great punch and spread. The Sharknose fairing of the 2016 Road Glide Ultra has the Splitstream triple vent system. New wraparound LEDs on the Tour-Pak of the 2016 Road Glide Ultra boost visibility. The 2016 Road Glide Ultra is equipped with Harley's Twin-Cooled High Output Twin Cam 103 that puts out a claimed 105.5 lb-ft @ 3750 rpm.